Roto-Gro International Limited (ASX:RGI) is pleased to announce it has completed the final tranche of the $4.56 million capital raising to institutional and sophisticated investors announced on 20 June 2018. 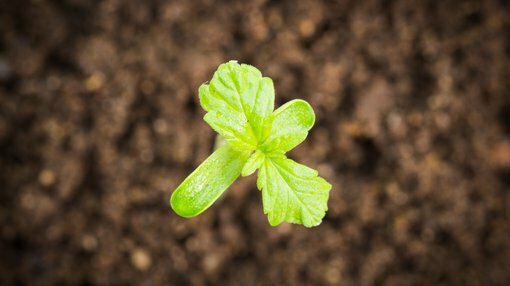 The high demand capital raise, jointly managed by Barclay Wells Limited Pty Ltd and Emerald Capital Australia Pty Ltd, will allow RGI to fast-track the pursuit of strategic acquisitions in lawful cannabis licenses, nutrients and perishable foods by way of equity ownership or partnership. The company is presently focussed on expanding the research and development facility in Caledon, Ontario, Canada, as well as bolstering its sales and management teams. The final tranche of 5,418,698 shares completes a total of 12,000,000 new fully paid ordinary shares issued at $0.38 per share. The company will also seek shareholder approval for the issue of 8,800,000 new unlisted options, exercisable at $0.65 and expiring two years from date of issue. Production continues for the Miracle Valley Medicinal Alternatives M.V.M.A. Ltd’s $2.3 million purchase order for the manufacture of RotoGro Rotational Hydroponic Gardens for their 29,000 square feet ‘state of the art’ cultivation and manufacturing facility in British Columbia, Canada. RGI are now required to wait until end of October to access the site, in order to undertake RotoGro Installation. Meanwhile, the company has been working with Miracle Valley to finalise the design of a fertigation system for their expanded facility. The small cap is currently designing Gibio’s first flagship facility to incorporated automated unloading, washing, harvesting and packing of their Perishable crops. The 8’ Prototype Rotational Gardens are nearly complete with weekly collaboration between RotoGro and Gibio to continually refine the feeding and harvesting aspects of the Units. Freshero has a dedicated Grow Room at RGI’s Ontario facility. In mid-September, key members of Freshero’s management visited RGI’s Ontario and Nevada facilities, however the company has shortened and delayed the start of their trials, which are now set to commence mid-October. As previously flagged by the company, it continues a focus on expanding into industry synergistic opportunities, including exploring strategic partnerships and complimentary acquisitions in related markets. These markets include lawful cannabis license ownership, growing management services, industry leading nutrients, emerging tissue culture expertise and other supporting faculties of hydroponic growing. RGI is now assessing opportunities to acquire a Cannabis Cultivation License in Canada and is consequently in discussions with a number of license holders. At this stage, all discussions are preliminary.